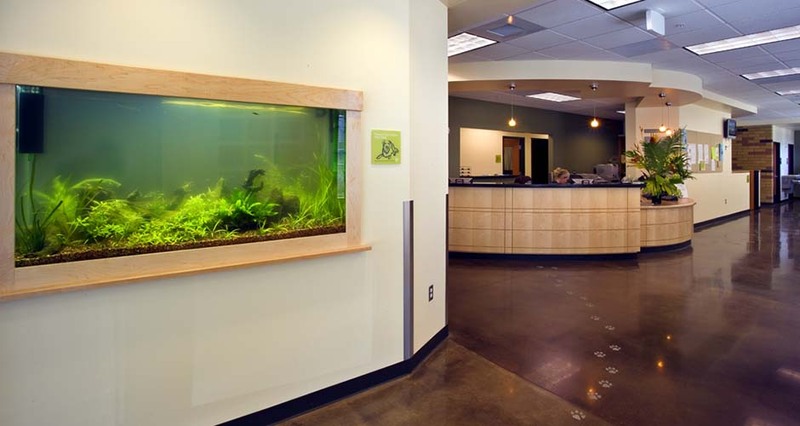 The DoveLewis Emergency and ICU animal hospital is the only 24-hour non-profit emergency animal hospital located in the northwest region of the United States. 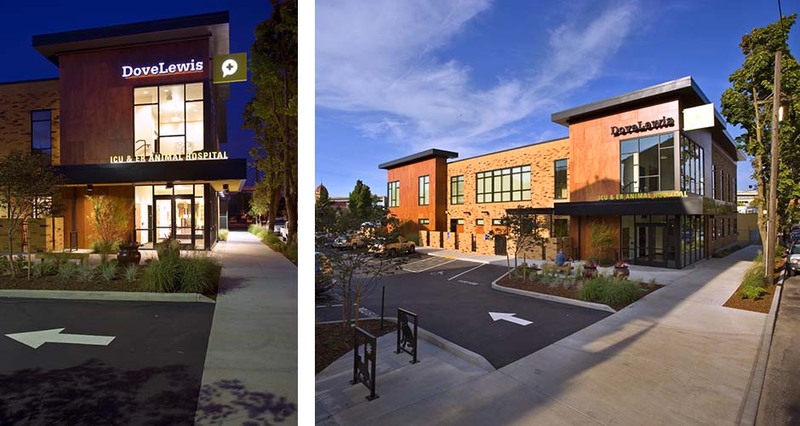 The two-story, 22,000 SF building on a 0.75-acre site is located in Northwest Portland. 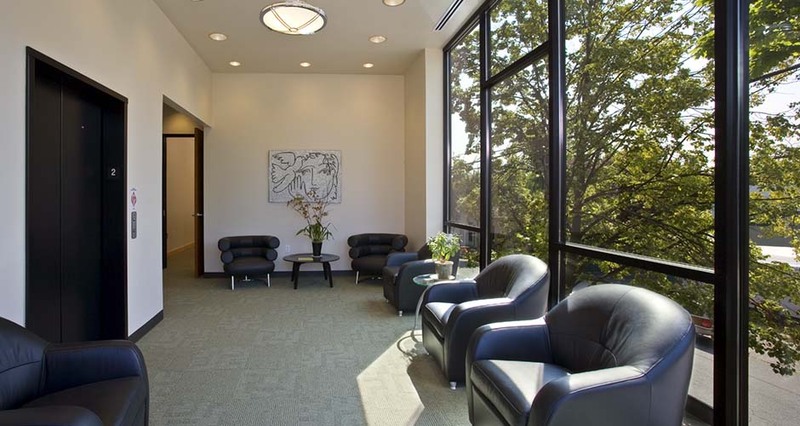 The facility includes a reception/waiting room, eight exam rooms, an emergency room, an intensive care unit, a blood bank, and X-ray and radiology services. The sterile core includes two surgery suites and a recovery area. 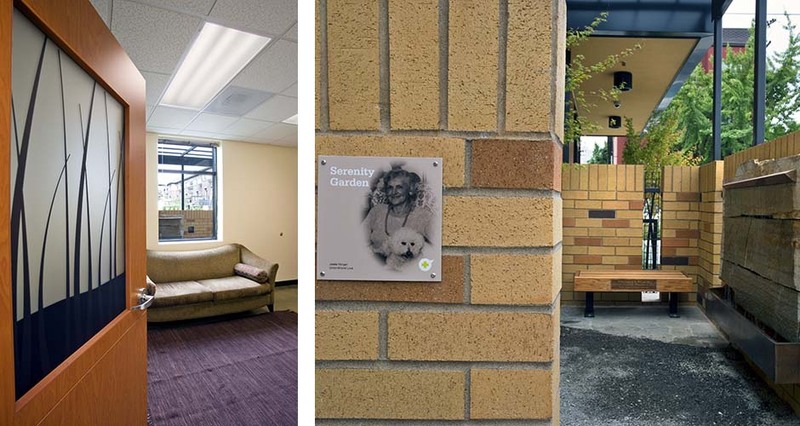 The facility was designed with separate dog and cat wards to minimize stress for both pets and owners. There is a dedicated grieving area with an adjacent serenity garden. Design challenges included fitting all program needs into the tight constraints of the site and building as well as sound and smell isolation. These challenges were met by using gasket-style doors for sound and odor control, along with a mechanical air exchange rated at 14 air changes per hour to help isolate smells. 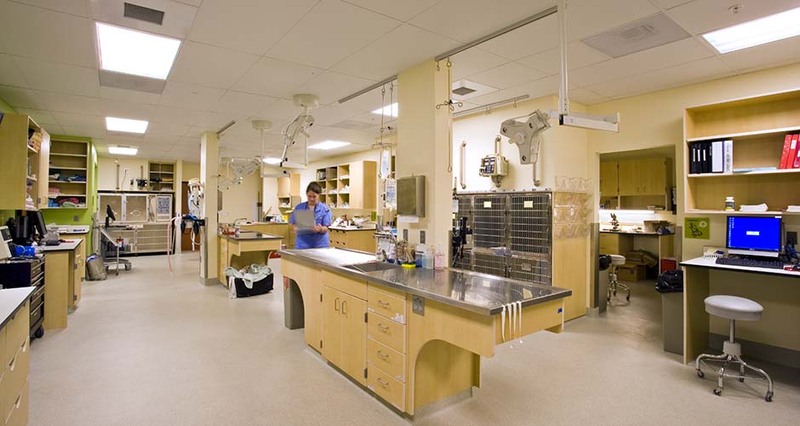 Animal wards and exam rooms are highlighted by full-height walls and acoustic insulation. The facility includes resources for dealing with pet loss and injury, as well as stray and wildlife care. The project received the AIA Portland Chapter People’s Choice Award in 2006.